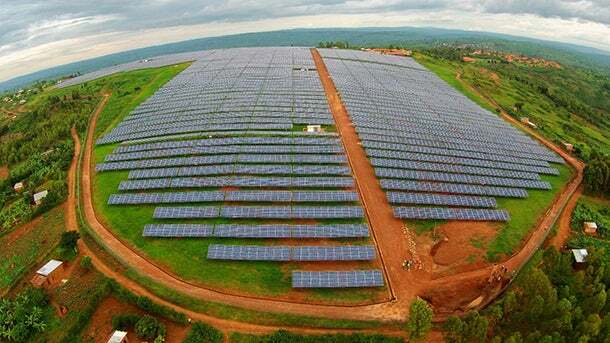 The February ribbon cutting for Gigawatt Global’s new $24 million solar field in Rwanda was an impact investment showcase. More than 28,000 solar panels, arranged in the shape of the African continent, added six percent to the entire country’s electricity production. Gigawatt Global, an American-owned Dutch company, completed the project in less than a year after signing a power-purchase agreement with Rwanda’s national utility service. The solar field is the first operation project under President Obama’s Power Africa Initiative. Furthermore, the project leases land from a nonprofit youth village founded after Rwanda’s 1994 genocide to care for the country’s most vulnerable children. “It moved fast because we had a very nimble team and we worked around the clock,” says Sari Miller, a New York investor who helped Gigawatt’s managing director Chaim Motzen with what she says were “many, many hours” of daily contact and review. Early involvement and hands-on participation are the keys to Miller’s remarkable record in impact investing. She honed her methods in a successful earlier career as an executive and dealmaker in real estate, finance and insurance, including the sale of a company to AIG. Since selling most of her real estate holdings in 2006 and 2007, she estimates she now spends 75 percent to 80 percent of her time working with companies in her impact investment portfolio. Miller has been present at the creation of a string of high-impact, for-profit ventures. She was the first angel investor in Leapfrog Investments, a private equity fund that invests in micro-insurance and other financial service providers for low-income and financially excluded families rising out of poverty, primarily in Africa and Asia. She was also an angel investor in Grassroots Business Fund, which provides equity and debt to agricultural and artisanal businesses to improve the livelihoods of low-income people. She is a member of the board of Digital Divide Data, a business-process outsourcing service that provides jobs and education for disadvantaged youth in Cambodia, Laos and Kenya. Miller was the first angel, yet again, to invest in both Purpose Global, which runs advocacy campaigns around issues such as climate change, LGBT rights, violence against women and the crisis in Syria; and in Impact Republic, an investment and brand strategy group. Miller doesn’t have a specific annual target for impact investments and admits that she has “a disproportionate allocation to social impact,” but says she is eager to do more. “I love the space; I love the people I meet; I love the startup mode,” she says. Last year, Leapfrog closed Fund II at $400 million. Across both funds, the firm estimates it has reached 44 million people. For his part, Rosen says Miller adds a lot of value as an investor, but that doesn’t mean he always takes her advice. Miller has urged Grassroots Business Fund to take on a bit more risk to expand its operations. Rosen says he is cautious about rapid growth given the handholding needed by businesses targeted at low-income populations. Not all of Miller’s investments have panned out. She was the founding angel backer of Nexii, the first publicly regulated impact investment stock exchange, based in South Africa in partnership with the stock exchange of Maurtius. The exchange never gained traction and was merged into Singapore-based Asia IIX, another social-enterprise transaction platform. Editor’s Note: The Agahozo-Shalom Youth Village is a corporate impact project of Liquidnet, a financial sponsor of ImpactAlpha. Liquidnet is not an investor in Gigawatt Global.